It’s the most wonderful time of the year. The holiday season has arrived. To say that I am a Disney lover is an understatement. I think you all know by now that my love for all things Disney runs pretty deep. Do you have a Disney fanatic in your life? If you do, you probably realize they not only are proud to rock their DisneySide 24/7. You also probably are aware that they also never have enough Disney apparel and accessories (at least I don’t.). Disney fans LOVE to be Disneyfied! 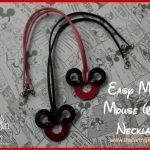 Looking for that “perfect” Disney inspired gift to give him or her? 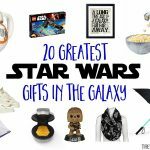 With the holiday season sneaking up on us, I put together a list of Practically Perfect Gift Ideas for Disney Lovers. I’ll be honest, putting this list together was very hard for me because I didn’t want to end it. I also have a lot of the items listed. Restraint, Melissa! This lists speaks fun. Afterall, everything about Disney is fun…and magic…and Dole Whips! Disney brings out the kid in all of us. The magical merchandise found here will help spread some holiday Pixie Dust to the Disney enthusiast in your life. Whatever you do, don’t stress about the holidays. Don’t worry, you still have plenty of time to complete your holiday shopping. The holidays are about making magical memories with family and friends. Enjoy the magic of the season. Looking for more Disney inspiration. Why not follow my Disney Love! Pinterest Board! Here you will find helpful Disney travel tips, party ideas, quotes, park information and more! Follow Melissa Russo / How Does Your Garden Grow?’s board Disney Love! on Pinterest. This is so weird, but last night I had a dream I went to Disney and we were trying to go see Cinderella’s play but we kept missing the show time! 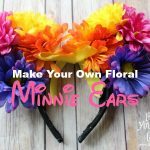 I have a few Disney lovers in my life, great ideas! Oh my gosh I just LOVE that Queen of Hearts apron! Love the Darth Vader Shirt for my hubby. And that apron is too cute! Great ideas. My friend’s daughter loves everything Disney, I’ll have to share this with her! That pin display is perfect for my oldest son! All his pins are shoved in a box right now – that Mickey head is awesome! Thanks for sharing!